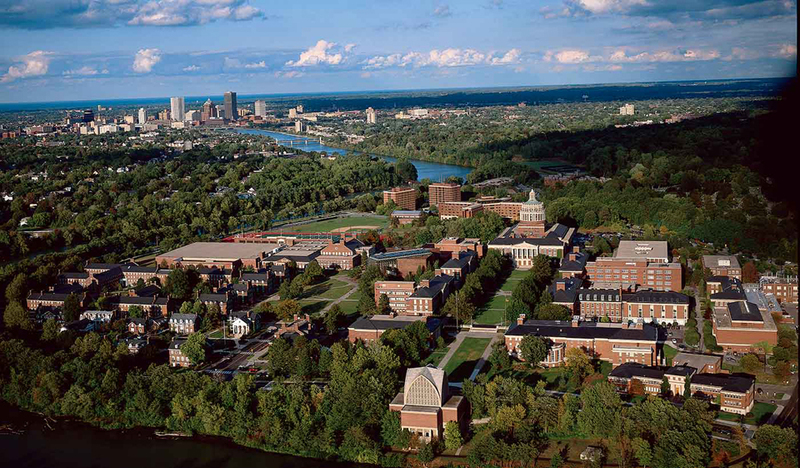 Rochester’s cost of living, ease of access, and family-friendly community gives you peace of mind as you pursue your passion at the University of Rochester School of Nursing. This metropolitan region— situated on the southern shore of Lake Ontario – offers the best of all worlds throughout the year. In the spring, the festival season kicks-off with the world’s largest lilac collection at Highland Park’s Lilac Festival. Listen to the sounds of jazz and music in every corner of the city during the Xerox Rochester International Jazz Festival. Rochester is also known as one of the 10 best golf cities in the country – and was the only city to host the PGA championship and LPGA championship in one summer. Highlights of the summer also include the Park Avenue Festival, the Corn Hill Arts Festival and the Clothesline Festival at the Memorial Art Gallery. For the outdoors-lovers, Rochester offers plenty of sailing, canoeing, and hiking opportunities situated near Lake Ontario, the Finger Lakes and other major waterways such as the historic Erie Canal and the Genesee River. Rochester has professional baseball (Red Wings), hockey (Amerks), and soccer (Rhinos) teams. Football is also big in Rochester – Buffalo Bills fans can travel to the stadium in about an hour. Fall is also a beautiful time to take in the fall foliage, go apple-picking at nearby farms or visit The Museum of Play at The Strong or Rochester Museum and Science Center. Once winter hits, snow certainly becomes a fact of life (Rochester averages 93 inches of snow per year). Winter sports are abundant and include sledding at local parks, cross-country skiing, snowshoeing, downhill skiing or snowboarding at Bristol Mountain. There are also plenty of places to escape from the winter weather: take shelter in the city's coffee shops, restaurants, book stores, movie theaters, and museums. Wegmans grocery store was born in Rochester and is beloved by locals. In the center of it all, a few miles south from downtown Rochester on the Genesee River, sits the University of Rochester School of Nursing and the Medical Center. Learn more and visit campus today. Daily newspaper for the city of Rochester and the surrounding area contains local news, sports, weather, entertainment guides, and classified ads. Rochester's alternative news weekly offers coverage of local politics, film reviews, and guides and calendars for the local music and arts scene. Discover Rochester, NY year round and enjoy this thriving city. From Rochester's wide ranging culinary scene to visiting one of the many festivals Rochester hosts or even stopping by the mall to explore a shopper’s paradise, you’re sure to find something to love! Information about cultural events—including exhibits, concerts, lectures, and dance--throughout the Rochester area (available by type, date, organization), as well as general information arts and cultural resources for the local community. An independent compilation of data on Rochester, including demographic and income data, housing data, photos, weather, and maps.